It is available for 16900 Euro. 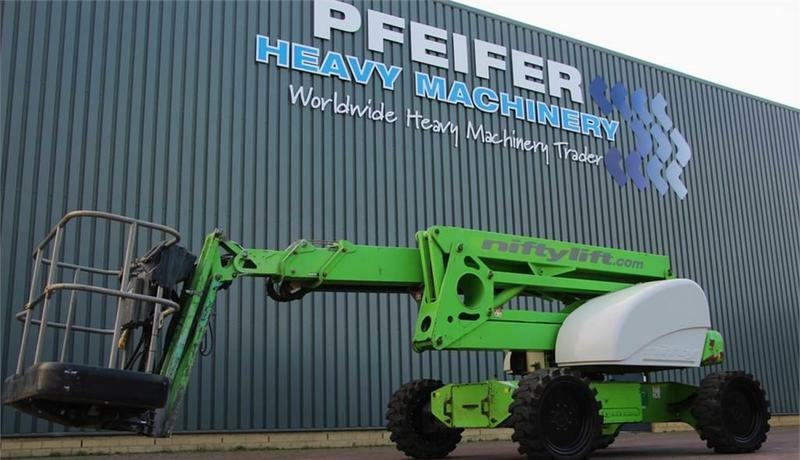 Check the technical data of the unit, picked out from the catalog of NIFTYLIFT articulated boom. Gross Vehicle Weight: 6350 kg. The details on axles, suspension and euro norm include: front tires: 40 %, rear tires: 40 %, tires: Solideal.